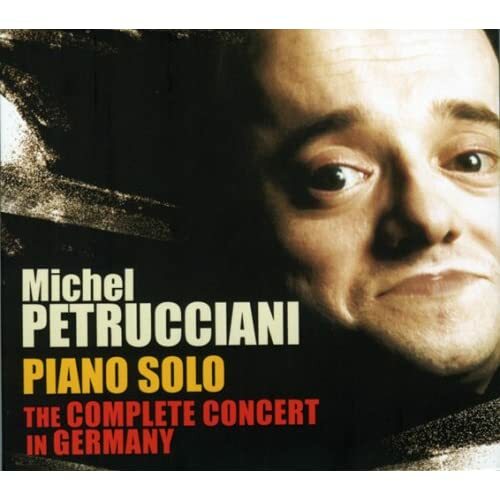 Piano virtuoso Michel Petrucciani was born on December 28th 1962 in Orange France to Italian parents. He grew up surrounded by music as his father was a guitarist and his brothers were a bassist and a guitarist. He discovered the piano very young and one of his early influences was Duke Ellington. Because he was born with osteogenesis imperfecta; a condition that stunts growth and causes fragile bones and respiratory disorders, he had to have special extensions made for him to reach the pedals of the piano. The condition did not affect his hands, however, and he was able to study classical piano for 8 years. He gave his first professional concert at age 13 at the Cliousclat Festival where he was discovered by Clark Terry. Terry introduced him to a number of expatriate jazz musicians and this encouraged the young Petrucciani to embrace jazz as a musical idiom rather than classical music. At age 16 he met drummer Aldo Romano who was impressed by the teenager’s musical prowess and took him under his wing and 2 years later helped him launch his recording career with Flash. 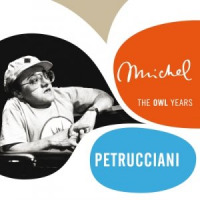 Petrucciani recorded a number of excellent albums for the French label Owl including a duet with Lee Konitz. In 1981 he performed at the Paris Jazz Festival and caused a sensation. In 1982 he moved to the US and was introduced to Charles Lloyd. The latter was so impressed by the pianist that he helped him launch his American career. During this stay he met and married his first wife Erlinda Montaño. The marriage lasted 3 years. During he stay in the US Petrucciani had the opportunity to play with lot of the giants of jazz including Dizzy Gillespie. In 1986 he became the first Frenchman to sign a contract with the legendary Blue Note label. In 1990 he married classical pianist Gilda Butta with whom he had two children. This marriage also ended in divorce in the late 90s. He spent the 90s touring Europe and recording for Dreyfus Records. Near the end of his life he was trying to establish a jazz school in Paris. In 1994 he was made a knight of the French Legion of Honor. On January 6th 1999 Michel Petrucciani passed away of a severe pneumonia in Manhattan. He had recently celebrated his 36th birthday. The posthumously released Solo Live remains his best work and a powerful testament to his genius and enduring legacy. All About Jazz musician pages are maintained by musicians, publicists and trusted members like you. Interested? Tell us why you would like to improve the Michel Petrucciani musician page.